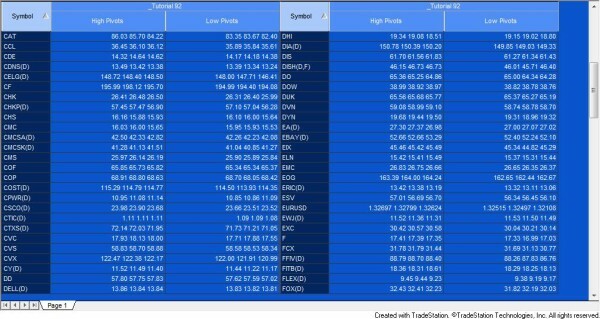 Tutorial 92 demonstrates how to write a TradeStation EasyLanguage/MultiCharts PowerLanguage indicator that displays the last several high pivot values. The number of pivots displayed is determined by a user input. Since it is not possible to increase the number of plots programatically, this program uses a technique that places the pivot values into a text string which is then displayed in one column of the MultiCharts Scanner. Other inputs determine the right and left strengths of the pivots and whether the order is chronological or based on the pivot value. The video includes information about using arrays, dynamic arrays, while and for loops, plus a lot more helpful EasyLanguage information. Pivot values are displayed in size order. The following detailed videos demonstrate the development of the program and show the program applied to the MultiCharts Scanner and a chart. 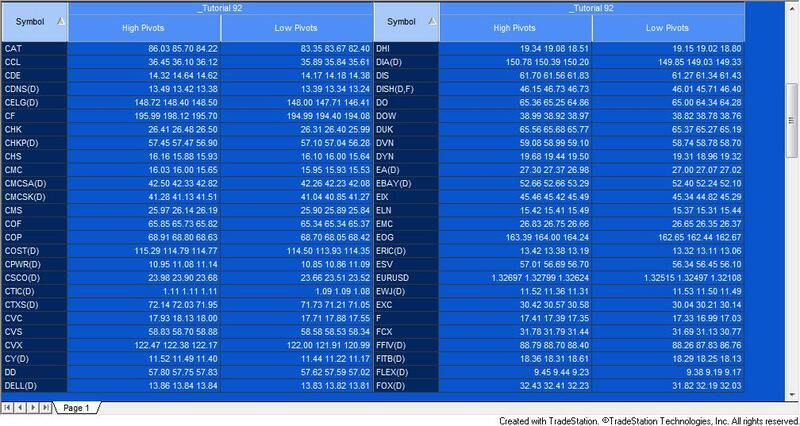 The program can also be used with TradeStation’s RadarScreen and charts. The following, unprotected, download includes a TradeStation ELD together with a MultiCharts PLA file for tutorial 92. The program may be downloaded for $34.95.